When I think of Flour & Water, the San Francisco urban legend of Steve Job’s walking in and politely being turned away due to lack of available seating comes to mind. Even though Flour & Water has been open for nearly a decade, it is still challenging to get a reservation here. Patrons who were not lucky to snag a reservation still arrive at 5pm - 30 minutes before the restaurant’s opening - to be so lucky as to grab one of the few walk-in seats at the bar. I bike by this restaurant twice a day. I also follow them on Instagram. 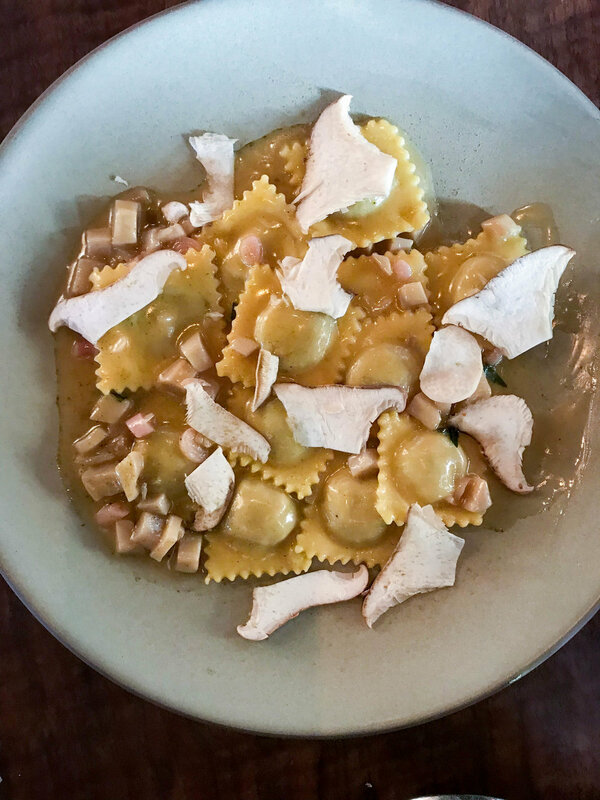 From so near, yet so far, I have developed a fondness for this restaurant that hand-makes and hand-shapes all of their pasta using locally sourced ingredients. 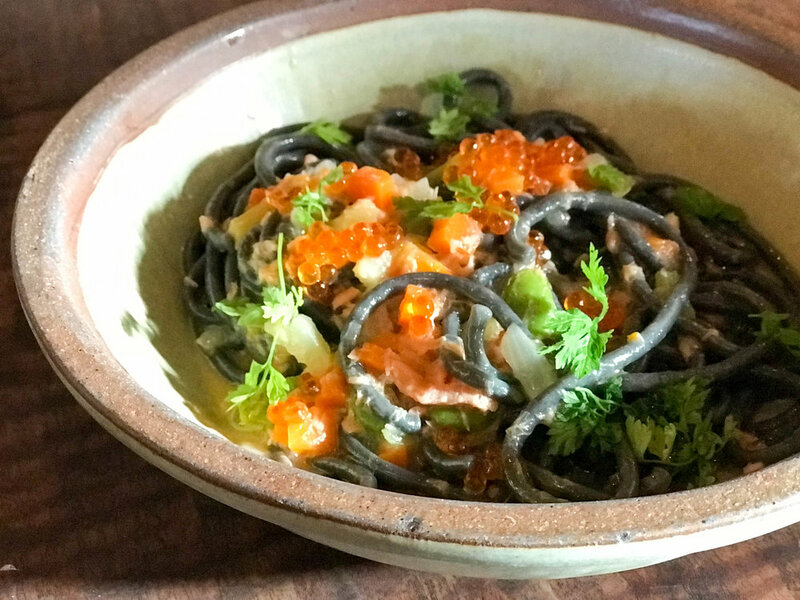 The menu changes every day, but the resulting product is consistent - it is some of the best damn pasta you will probably ever have outside of Italy. In typical fashion, Tobi and I biked over after our climbing at our gym just two blocks away. We were the first in line (though only by a minute) and we waited eagerly with growling stomachs. Not surprisingly, everything on the menu looked tasty. We sat next to the kitchen so we had the pleasure of taking a peak at all of the dishes making their way from the kitchen to the full dining room around us. However, Tobi and I decided to cut to the chase - we skipped the pizza, salads, and appetizers (with the exception of the arancini - it’s a must on the menu) and ordered 4 pasta dishes to share. We also ordered a bottle of wine because we finally made it to the restaurant and had a great reason to celebrate. We savored every single bite over the course of the next three hours. It was luxurious to take this kind of time as we ate this remarkable meal. I melted with every bite. Bottom left: duck raviolini with mushrooms, ramps and spruce. 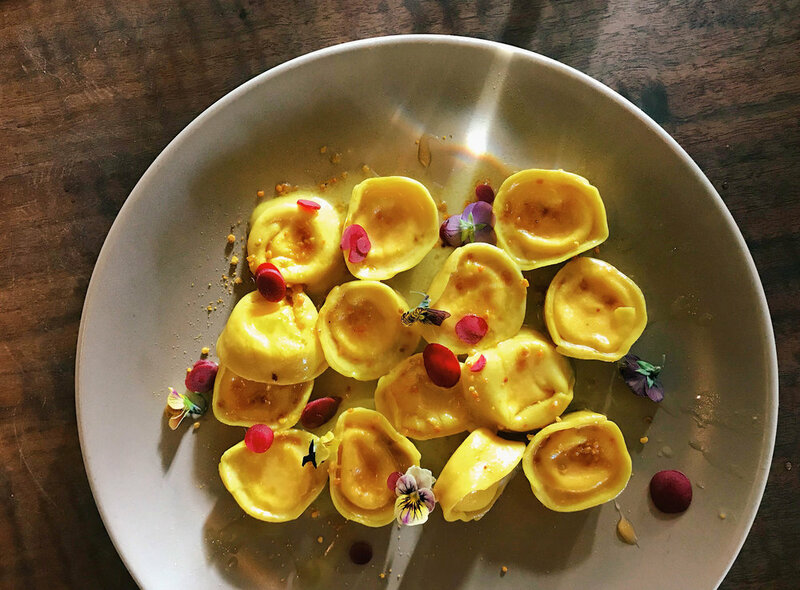 Tumeric and carrot cappalletti with flower power cheese, bee pollen, and mission honey. 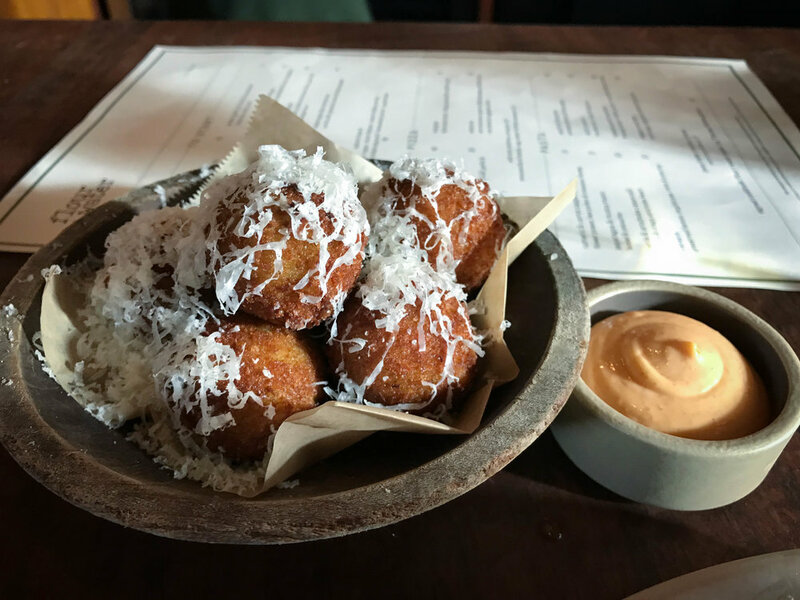 Green garlic and fontina arancini. 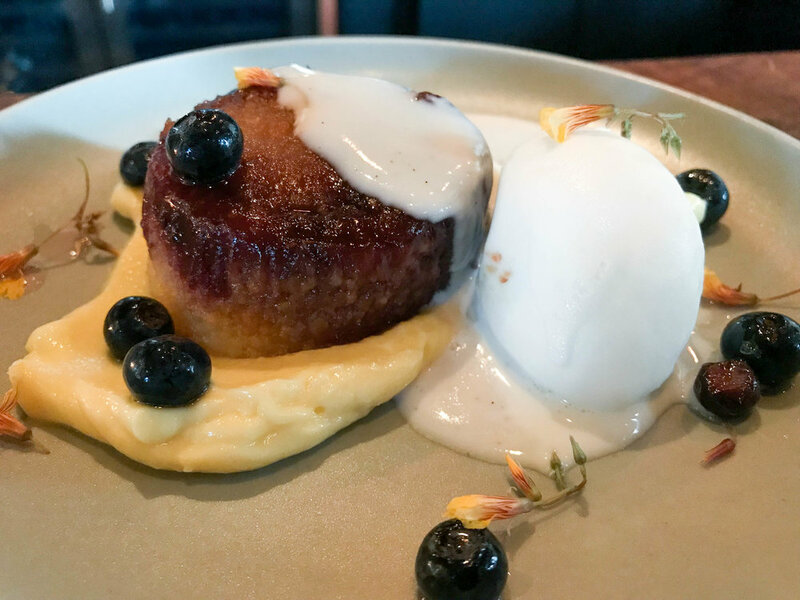 Warm polenta cake with coconut crema, lemon curd, and blueberry.